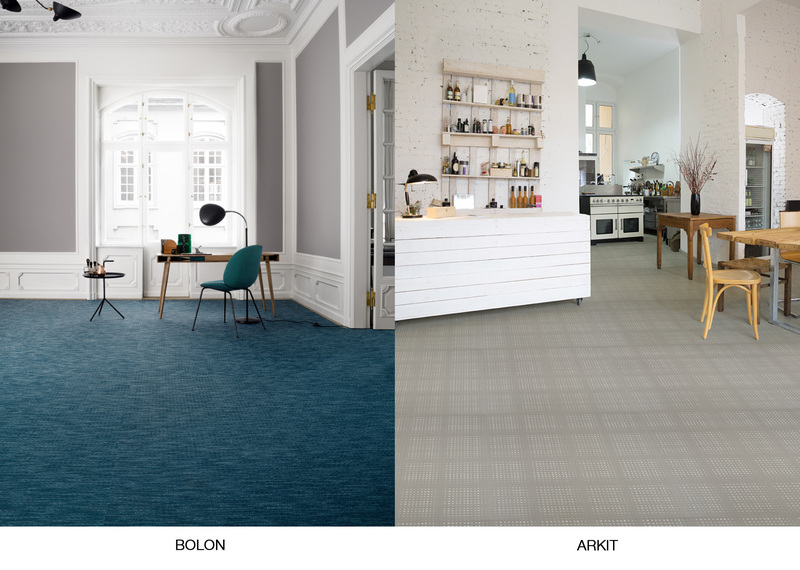 BOLON and ARKIT are two brands of floor coverings that are highly praised by the market players of the decoration market. Their materials stand for design, durability and easy care. They can be used by everyone and for all projects, private or public. Bolon is the pioneer and the global leader in woven vinyl flooring. These floors combine design, quality and functionality. They are very resistant. Thanks to a production according to sustainable processes, they have the best environmental certifications in the world. (Breeam, Floorscore, NAA, Emission COV A+, Portico…). The different collections, formats and sections offer almost limitless creative possibilities. ARKIT is positioned on the LVT market and the brand meets the new expectations of the architects in search of innovative materials. The collections display an ultra-contemporary character with motifs that are hand-made French creative works and that are proposed in large slabs of 91.4 x 91.4 cm. With the aim of enlarging their network of specifiers and improving their work with the architects, the teams of BOLON and ARKIT were looking for an efficient platform. They referred to Polantis to make their products available online. From now on the specifiers can find all product information (business contacts, visuals, technical specifications and product sheets), as well as the BIM textures of both brands in one place. Check out BOLON‘s product information and BIM textures here. Check out ARKIT‘s product information and BIM textures here.